FRAMES of REPRESENTATION (FoR) film festival is the Institute of Contemporary Arts’ annual platform for cinema of the real, presenting pioneering filmmakers, artists and researchers from around the world. Since its launch in 2016, FRAMES of REPRESENTATION has built an international reputation as a showcase for global cinema with strong political and aesthetic commitments. For this third edition, ICA Cinema welcomes filmmakers from 16 countries, presenting 18 new works – 12 feature films and, for the first time, six short films. All of this year’s films are UK or European premieres. Each film is screened with the filmmaker present. In attendance this year are Khalik Allah, Xu Bing, Toia Bonino, Clément Cogitore, Salomé Lamas, Boris Mitic, and Gürcan Keltek, among many others listed in the attached programme. As with the previous two editions of FRAMES of REPRESENTATION, this year’s films are presented alongside a strong discursive programme, including director Q&As, seminars, a symposium, and workshops with the filmmakers and special guests. This year’s FRAMES of REPRESENTATION reflects on the concept of ‘Landscape,’ following ‘Working’ (2017) and ‘New Periphery’ (2016). The programme investigates how filmmakers, thinkers and activists address today the intersections of art, society and the environment. ‘Landscape’ will discuss the paths to ecologically sustainable and socially equitable communities. As in past years, FRAMES of REPRESENTATION will continue to navigate the line between fiction and nonfiction, reality and imagination, looking to create a space where cinema and art become dynamic forces for change. ‘Landscape’ emerges as a complex space that connects each individual to the other, where geographical borders can function as an entry point to a rich sense of inclusiveness or isolation, not only as structures to demarcate and exclude. FRAMES of REPRESENTATION 2018 continues a strong Latin and Caribbean strand that has been present since the festival’s inception. Many of this year’s films (Black Mother, Djon Africa, Cocote) are concerned with centering – and redefining – black narratives, opening space for multiple forms of knowing, practicing and living. FRAMES of REPRESENTATION 2018 also profiles a series of films set in Eastern Europe and Russia with UK premieres of Braguino, Delta, In Praise of Nothing and The Son. 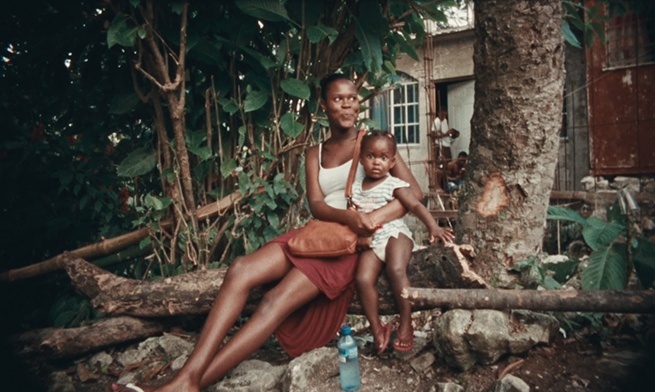 The festival’s opening night sees the UK preview screening of Khalik Allah’s visually mesmerizing Black Mother, an immersive, spiritual work that introduces and explores margins of idiosyncratic Jamaican culture. The festival closes with a screening of Cocote (UK Premiere) awarded Best Film in the Signs of Life section of the Locarno International Film Festival. An ethnographic experiment looking at anthropological spaces, framed through breathtaking long-takes, Cocote pushes the boundaries of cinematic language. For the first time FRAMES of REPRESENTATION introduces a section for short feature films exploring new territories of storytelling. New aesthetic landscapes also continue through the visualized radio platform Radio Atlas, which returns to present a programme of radio documentaries. The symposium ‘Imaginaries of the Desert’ on the closing day of the festival will take as its starting point scholar Elizabeth Povinelli’s concept of the desert as the symbol of a particular relation between life and non-life. Award-winning film editor and sound designer Walter Murch (The Godfather, Apocalypse Now, The Conversation) will return to FRAMES of REPRESENTATION to join the symposium (other guests TBA).